Welcome to episode 127 of The Chumpcast! Mother Nature barfed snow all over Chicago this weekend, so we’re all logged in for an online chat. 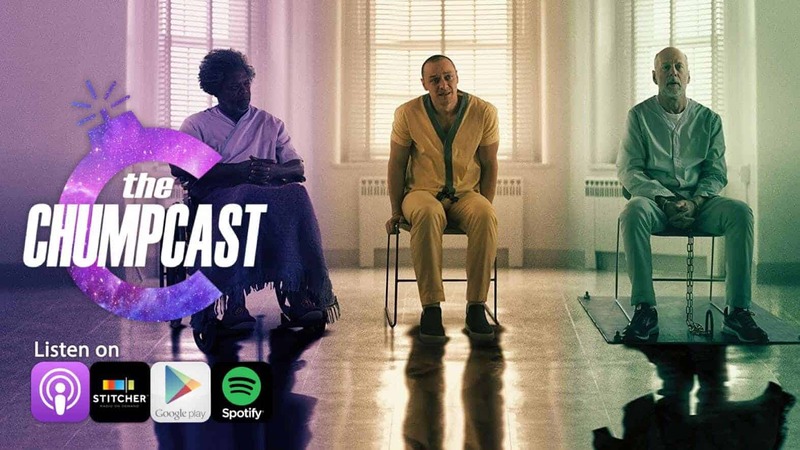 We talk psychopaths, Mark’s attempts at being an adult in the real word, and review the final entry into M Night Shyamalan’s superhero trilogy, Glass. Spoilers for Glass from 1:01:30 until 1:12:30, but make sure you hang around afterwards for our weekly recommendations. If you want more fresh content before everyone else, check out patreon.com/thechumpcast! You can find us on all social media platforms @thechumpcast. You can also call or text us at 847-920-6107. If you leave us a good enough voicemail, you might hear your voice on a future episode.